I am very excited to announce I am part of the Hey Z Radio Network doing a show called Let’s Get Social on Wednesdays at 4pm PST/7pm EST. The show is about anything related to social media and some SEO for the most part. I am really excited because the network is run by a truly amazing and gifted bunch and in a short time the network has attracted many new listeners and it is growing each day. They are truly the network with Heart, Soul and some rhythm thrown into it. I also want to mention something quite important that they have gone through some changes, which is all great and are looking for hosts for some morning and afternoon slots. The topics are eclectic ranging from spirituality, politics, anything home related, etc. 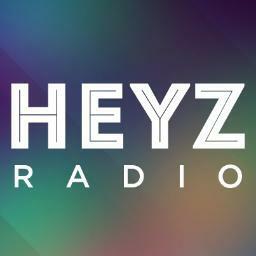 If you are interested in hosting a show and getting yourself out there, go to the Hey Z Radio Network and let them know! They would love to hear from you! Fantastic news, congratulations Miriam 🙂 Tweet us when your first one is coming up! Way to go! You will be great!